Louisiana Governor Bobby Jindal is a complicated politician—and so are his self portraits apparently. Louisiana political blogger Lamar White tweeted out this photo above, according to Mediate, and the jokes began flying. 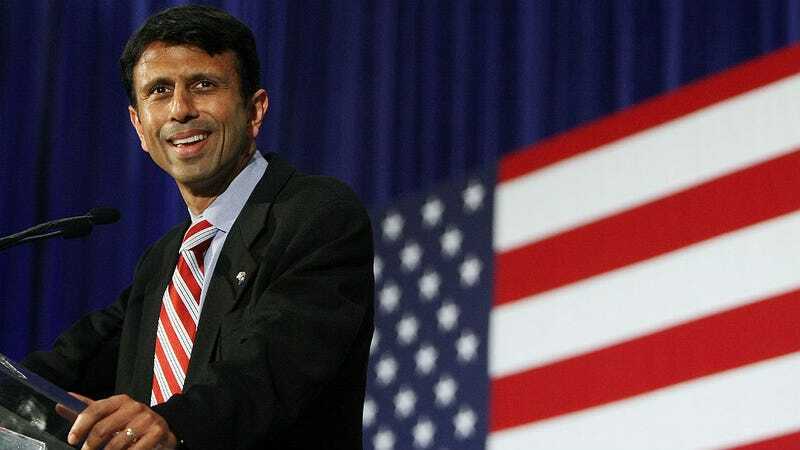 Then, late Monday night, a staffer for the Governor tweeted the politician's official self portrait, clarifying that the original pale likeness was on loan from someone in Louisiana who only takes their Jindal light. White says the Cumberbatch Jindal painting is the first one visitors see when they stop by the Governor's office in the Louisiana State Capitol, which, as Awesomely Luvvie mentions, looks a lot like Ray Romano—who is still not Gov. Bobby Jindal.